response from property - Feb 07, 2019 Thanks for the review Alex! We value having you as one of our residents! I enjoy the location and community it providessubmitted by Jasmine N. - Dec 01, 2018 |Recommended: YesSafe place in a great location and I love living with my best friend. response from property - Feb 11, 2019 Thanks for sharing Jasmine. You are a pleasure to have as part of our Frassati Family! Excellentsubmitted by Cristian C. - Nov 28, 2018 |Recommended: YesI love the place. the staff is friendly all the time, and they are helpful as well. I like everything about this place. response from property - Nov 28, 2018 Thank you for sharing with us Cristian! We really enjoy having you as part of the Frassati Family! 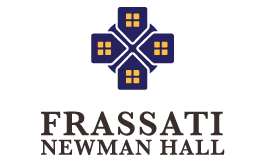 Frassati is an outstanding place to livesubmitted by Andrew W. - Nov 16, 2018 |Recommended: YesFrassati and it's staff are very homely and personable. They are always super welcoming and are willing to help out their residents in any way, whether be through bus rides to timely maintenance calls. The living conditions are well kempt and are a pleasure to call home. There are always fun events every month for the residents that involve free food and getting to know the other residents that live here. Overall I am very well pleased and look forward to staying here at Frassati Halls. response from property - Nov 28, 2018 Thank You for sharing Andrew. We are happy that you are enjoying being part of The Frassati Family. We love having you with us!! !